Thank you for considering a gift to The Storm King School! Your investment helps prepare young men and women to be responsible leaders in a 21st Century global society. Below are some of the ways to make your gift. Use our online form to make a gift quickly and securely through the Storm King School website, or call the Alumni and Development Office at 845-458-7521 to make your credit card gift by phone. Make your check payable to Storm King School and mail it to the Storm King School, Alumni and Development Office at 314 Mountain Road, Cornwall-on-Hudson, NY 12520 . To wire funds directly to The Storm King School, please use these wire instructions. Please notify the Development Office of your intent to make a gift via wired funds, by calling 845-458-7521. We will then be able to properly track and credit your gift. Your stock broker can wire shares of stocks and securities to Storm King School's account at Key National Association. Your broker will need Storm King School’s account number (10-10-105-1921400), DTC Number (2205), broker's name (Lisa M. Keating, CFA), broker's telephone number (914.333.1133), and Fed. I.D. #14-1413685 (The Storm King School). Call before sending shares of mutual funds. Please ask your broker to inform Storm King School’s broker of your name and to inform Storm King School via fax (845-534-2709), mail, or email (tfogarty@sks.org) with the above information and the date the transaction will take place. If you are a U.S. taxpayer and at least 70 1/2 years of age, you may make gifts to Storm King School from your IRA without having to count those funds as part of your adjusted gross income. Consequently, you do not have to pay taxes on the donated amount. Distributions must be made directly from the IRA trustee to Storm King School, and the individual maximum is $100,000 per calendar year. For more information, please contact Tom Fogarty, director of development, at tfogarty@sks.org or 845-458-7564. Planned gifts may consist of cash, securities, life insurance proceeds, real estate, and/or personal property. To discuss your gift, please contact Tom Fogarty, director of development, at tfogarty@sks.org or call 845-458-7564. For a gift of $150, you can purchase a commemorative brick to honor a loved one, pay tribute to your class and leave your legacy on Ledoux Terrace. Click here to donate to the Storm King Fund. Please email afulton@sks.org with your engraved message. Messages can be three lines long, and 20 characters per line, including spaces. For a gift of $150 you will receive The Storm King School's Sesquicentennial Commemorative book. The book contains 128 pages featuring a comprehensive history of the School and the local area, exclusive photography and archival images and a gallery of images from the School today. Limited supply, order today. The Storm King School is privileged to have alumni and friends who currently support the School in addition to planning for their own future. Their generosity commemorates loved ones, recognizes special times at Storm King, or a lifetime achievement. The charitable gift plans they create establishes their legacy while using tax-wise vehicles that may yield significant immediate and long-term benefits. If you have included The Storm King School in your estate plans, we trust you will share those plans with the School. If you have been considering such a step, we hope you will consult with your family and professional advisers. Please select any of the charitable gift planning vehicles below to learn more. Should you have questions or would like to discuss any of these vehicles further, please contact Tom Fogarty, The Storm King School’s Director of Development at tfogarty@sks.org or 845-458-7564. A bequest made through a will or living trust can be a very simple way to make a gift to Storm King. Your bequest may be of a specific sum, percentage, or the remainder of an estate and may consist of cash, securities, life insurance proceeds, real estate, and/or personal property. The official bequest language for The Storm King School is: I hereby give, devise, and bequeath TO THE Trustees of The Storm King School, (Federal ID No. 14-1413685), a nonprofit corporation organized and operating under the laws of the State of New York, [written amount or percentage of the estate or description of property], to be used for (gift restrictions, if any) (or for its unrestricted use and purposes). You may name The Storm King School full or partial beneficiary of life insurance plans, qualified retirement plans, IRAs, tax-deferred annuities, savings bonds, brokerage accounts, etc. To make such a gift, update your beneficiary designation form accordingly. A charitable gift annuity (CGA) is a contract between you and The Storm King School where you make an irrevocable gift to the School. In exchange, The Storm King School guarantees the annual payment fixed amount to you for life. Deferral of payments increases both your tax deduction and your annuity payments. Annuities can be written for one or two lives. The amount of the annuity payments is based on age. The Storm King School Development Office can provide illustrations at no cost. A charitable remainder trust (CRT) is a way to give where you irrevocably transfer assets into a trust managed by The Storm King School and its investment representatives. This trust pays income to individuals you name for a term of years. The balance remaining at the end of the trust is distributed to Storm King for the purposes you specified. There are many types of CRTs that are designed to fit each individual’s needs and goals. 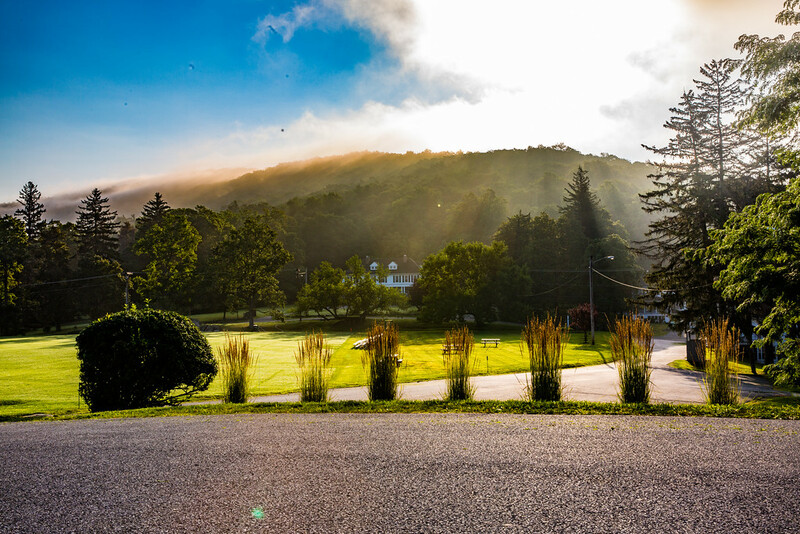 A charitable lead trust annually pays The Storm King School income from a donated asset for a set number of years. After that time, the balance remaining is distributed to the individuals you have chosen, such as your children or grandchildren, with reduced estate or gift taxes. A retained life estate allows you to irrevocably deed your home, vacation home, farm, or property to The Storm King School while retaining the right to live in and/or receive income from it for the rest of your life. You continue to be responsible for all routine expenses—maintenance, insurance, taxes, repairs, etc.